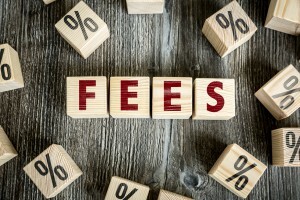 If you’re planning on buying a new home or investment property governed by a body corporate or strata, you’ll need to know how much you’ll be stumping up each year in fees (and what those fees cover). These annoying levies are a necessary evil; without them, your body corporate can’t adequately manage and maintain the property to the highest possible standard. Your body corporate fees cover everything from building insurance and maintaining common areas, through to shared utilities, building works and repairs. The funds that you and the other owners pay each year form the body corporate or strata committee budget, and will be distributed between an administrative fund and a sinking fund dedicated to capital works, covering both day-to-day expenses and the irregular, large-scale works. The fees the body corporate charge for their management service. If body corporate fees on your strata titled property are a concern for you, it’s important to note the features of a property that could see these levies mounting up, before you buy. For example, certain fixtures, fittings and finishes are more costly to maintain than others – timber is a good example, as regular cleaning, oiling and re-staining can quickly add up. Automated items such as remote garage doors are certainly convenient, buy they have a tendency to malfunction often and cost a lot more to repair than the manually operated variety. Sometimes, smaller buildings have cheaper body corporate fees, as they have fewer common areas or facilities to maintain. 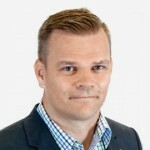 However, a small complex with a pool, spa and gym could see you forking out large sums each quarter in body corporate fees, as the expense of maintaining these is split between fewer owners than it is in a high-rise block. How are body corporate fees decided? The total amount required to maintain and manage the building for each year is budgeted, and then divided up between the owners. In some properties, each lot has the same entitlements and thus the same responsibility for body corporate fees, while in other buildings, lots which are larger in size or have access to additional facilities may incur higher fees – for example, a penthouse apartment. At the Annual General Meeting the proposed budget calculated by the body corporate will be presented, and owners have the opportunity to agree or disagree with this figure. Once a majority of owners are in agreement on a suitable budget, the quarterly levies payable by each lot can be calculated. How much is the average body corporate fee? It can be as low as $30 per week – and as high as $600 per week. 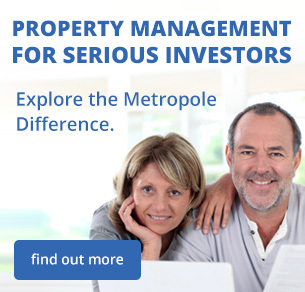 It really depends on the property’s age, condition, maintenance and strata committee. Before buying, ask the real estate agent to give you the previous few years’ body corporate fees for the apartment or unit, to give you a rough idea of what you’ll be expected to pay. Of course, this figure may change in the future, particularly if major capital works are undertaken. So always allow for a buffer in your investment budget, in the event that your body corporate fees rise. While you’re looking at the previous years’ body corporate minutes check for any upcoming works, for how much money is in a sinking fund for future repairs (if any) and for any ongoing disputes beween the owners or with other tenants. Remember, owning a property in an apartment block or unit complex that is managed by a body corporate is a lot like participating in a democracy – you’ll get your vote, and your opinion will be heard, by you’ll also need to reciprocate and allow others the same courtesy. By the same token, the expenses for maintaining the building need to be distributed fairly, and when you buy into this situation you’re making a commitment to pay your body corporate fees on time, so that important works and maintenance can be undertaken. If you think you’d prefer to leave the local politics to others and only be concerned with your own affairs, investing in building governed by a body corporate might not be ideal for you.